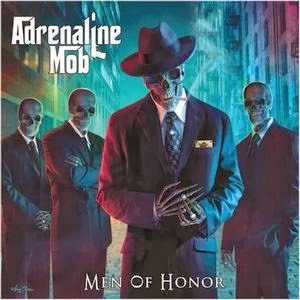 The Bible of Metal: HARD N' HEAVY NEWS: ADRENALINE MOB - "MEN OF HONOR" NEW SONG ONLINE! HARD N' HEAVY NEWS: ADRENALINE MOB - "MEN OF HONOR" NEW SONG ONLINE! Adrenaline Mob: a questo indirizzo è disponibile la title track del nuovo album della band, Men of Honor, per l'ascolto in streaming. Men of Honor uscirà il prossimo 24 Febbraio via Century Media Records. Adrenaline Mob: check out the title track song from the new album of the band, Men of Honor, which will be released on February 24th via Century Media Records, which is actually available for the streaming listening at this location.